The European Parliament has voted against a proposed new copyright law which was heavily supported by the music industry – and which could have closed the so-called ‘value gap’ affecting payouts to musicians from YouTube. The EU Copyright Directive, which contained the much-debated provision Article 13, was rejected by 318 votes to 278 in the Parliament today (July 5), with 31 abstentions. The proposed copyright reforms within the Directive aren’t dead, however: they will now be debated again in September, giving politicians more time to discuss and refine the bill. After the vote, rapporteur and MEP Axel Voss said: “I regret that a majority of MEPs did not support the position which I and the Legal Affairs Committee have been advocating. Whether Article 13 will make it into those discussions – or if it will be jettisoned along the way – remains to be seen. Article 13 would prospectively force the likes of YouTube to be held legally accountable for all copyright-infringing material appearing on their platforms, challenging the ‘safe harbor’ protections these services currently enjoy in the EU. Article 13’s opponents, supported by strong lobbying efforts by Google and the wider tech industry, argue that the provision will threaten the ability of people to create online memes, amongst other user-generated content. This assertion has been dismissed as “bogus” by music industry representatives. Ahead of today’s crucial vote, the IFPI released a letter to Members of the European Parliament from Sir Paul McCartney which urged MEPs to “uphold the mandate on Copyright and Article 13”. Meanwhile, UK Music accused Google of pulling the strings behind a €31 million lobbying operation directed at the European Union on issues including the digital single market, copyright and licensing. Today, there’s a mixed response of optimism and disappointment from the music business on the vote. 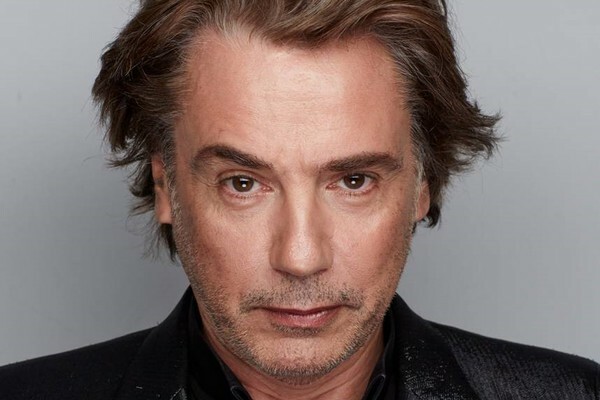 Jean Michel Jarre, President of CISAC, said: “Today is a great disappointment for millions of creators who have campaigned for years for the right to fair treatment and fair payment from giant internet platforms. “It is incredibly disappointing that, having been ferociously lobbied by opponents using false arguments, the European Parliament has stopped short of supporting the fair rights of creators. CISAC Director General Gadi Oron said: “Today’s vote is a missed opportunity to fix one of the biggest problems in today’s digital market. “It leaves an unfair situation in which the value of creative works , instead of benefitting their creators, is being used to enrich global technology platforms. UK Music CEO Michael Dugher said: “This is a sad day for everyone involved in the creativity that is behind Britain’s world-leading music. “Frankly, in some cases MEPs were naive. In others cases, they have chosen to wilfully disregard the plight of creators. “These proposals would make a real difference to our creators, to those that invest in them and to all of us who value our culture. “Google’s YouTube is the world’s most popular music platform, yet it deliberately chooses to return a pittance to those whose creativity it has built its multi-billion pound business model on. “Google remain the vultures that feed off music creators. The fact remains that this must end. “We sincerely thank the 278 MEPs who backed reform and look forward to engaging positively with all MEPs on the opportunities to develop the Directive further. PRS for Music’s Chief Executive Robert Ashcroft said: “It is perhaps unsurprising considering the unprecedented level of lobbying and the comprehensive campaign of misinformation which has accompanied this vote that MEPs want more time to consider the proposals. “We appreciate their support and hope that as we move forward to the Plenary debate in September, more MEPs will recognise the unique opportunity to secure the EU’s creative industries. “From the outset our primary focus of this legislation has been concerned with whether or not the internet functions as a fair and efficient marketplace – and currently, for artists and authors, it doesn’t. IMPALA’s Executive Chair Helen Smith commented: “We are confident that in September the Parliament will reach a conclusion and secure a fair and sustainable internet. “Platforms facilitate a unique relationship between artists and fans, and copyright reform should help rebalance the licensing framework around this. 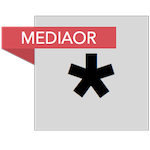 “Copyright aside, the hijacking of the process raises fundamental questions about how incumbent platforms and supposedly objective operators abuse their position. Geoff Taylor, Chief Executive BPI & BRIT Awards, said: “We respect the decision by MEPs to have a plenary discussion on the draft Copyright Directive. David El Seyagh, Secretary General of SACEM, said: “This vote is a set-back but it is not the end. SACEM remains dedicated to ensuring that creators are recognised and remunerated for the value of their work.